Central location, close to the beach, close to restaurants and bars, the owner was very friendly, big pool. Room was very clean. I choice Atalos, in the last minute for my Honey Moon.. And I will not regret it. Evreting was PERFECT.. Mr. Ianis, the owner was very helpful for us and it's the BEST! If do you want a hotel close to the beach. Atalos it's the best solution...for a great value!! Very comfortble and close to all restaurants, beach, bars and supermarkets. Very helpfull staff. Value for money. Friendly helpful Staff. Location (near enough to seafront approx. 350metres, but quiet.) Cleanliness. Rooms were very clean, very nice bathroom and powerful shower. Good location, very peaceful and relaxing. 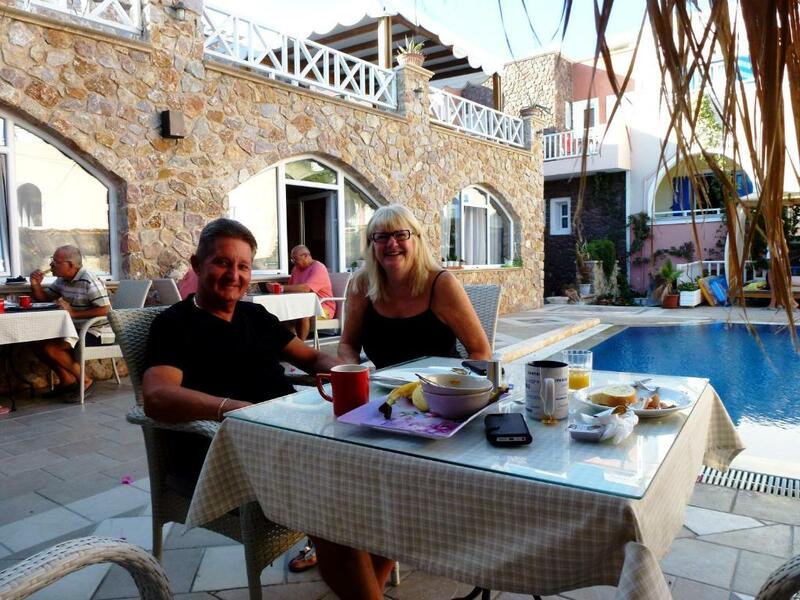 Spotless rooms, great location and the friendly owners went the extra mile to make our holiday relaxing. 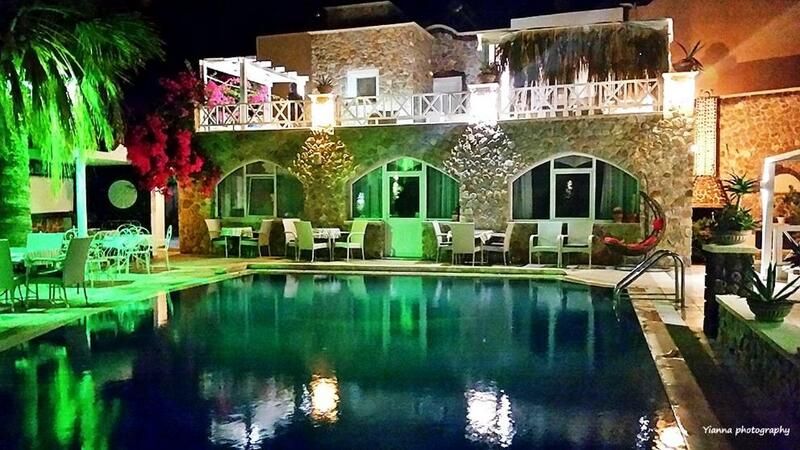 Lock in a great price for Atalos Suites - rated 9.4 by recent guests. In a courtyard with bougainvilleas, just a 5-minute walk from the black-sand beach of Kamari, Atalos Apartments & Suites features a pool. The suites offer free WiFi. The air-conditioned units at the family-run Atalos Apartments & Suites are equipped with a TV and a fridge. Each unit opens to a veranda with garden views, while some have Aegean Sea views. Guests can relax on the sun terrace, have drinks and fresh juices from the pool bar, or enjoy the outdoor hot tub. Breakfast is also served at the snack bar at extra charge. The helpful staff at the tour desk can arrange car rental and offer information on beaches and the archaeological site of Akrotiri 7.5 miles away. Fira, the capital of Santorini is 5 miles away. Free private parking is available on site. This is our guests' favourite part of Kamari, according to independent reviews. 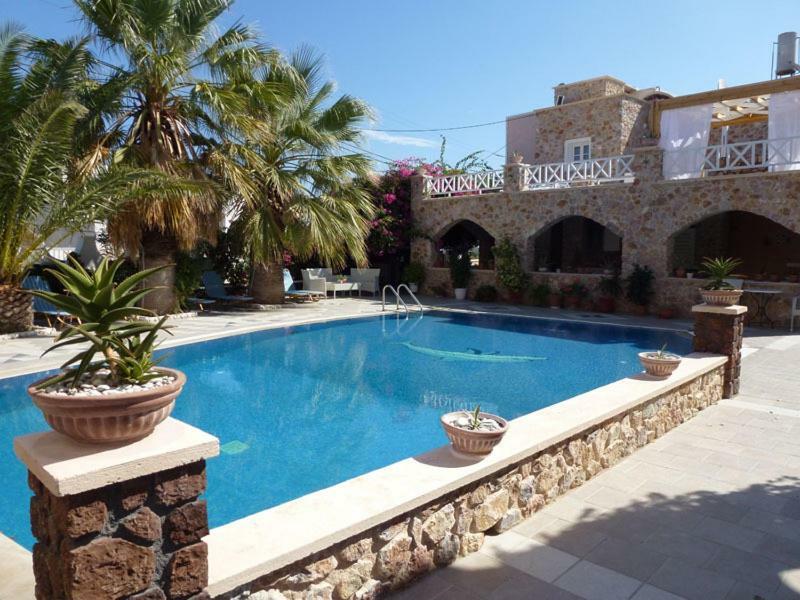 This property is also rated for the best value in Kamari! Guests are getting more for their money when compared to other properties in this city. 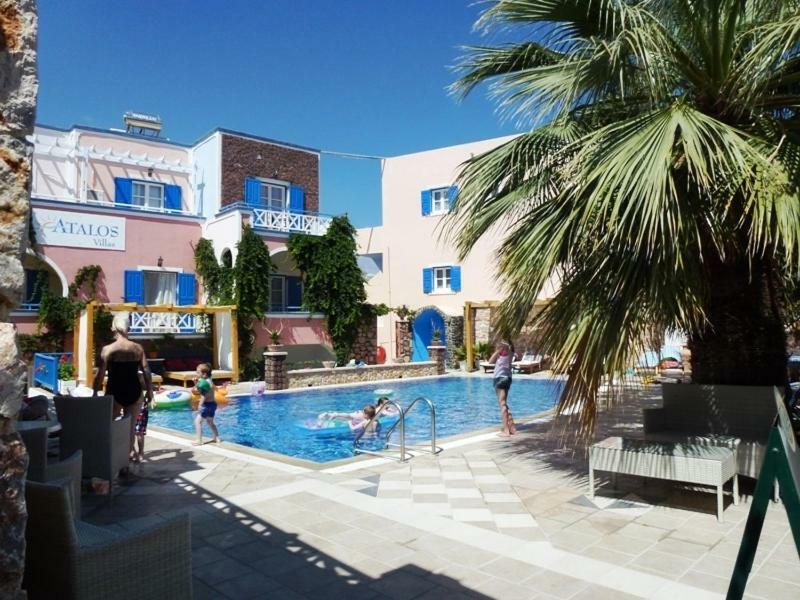 Atalos Suites has been welcoming Booking.com guests since 8 Jun 2010. When would you like to stay at Atalos Suites? The junior suite has a seating area and balcony with a view of the pool, sea and garden. This tastefully furnished suite contains a separate living room and free WiFi access. This room features a balcony with inner views. Located on the second floor, this suite has a round bed, flat-screen TV and a private terrace with pool and sea view. This apartment features a balcony, seating area and sofa. House rules Atalos Suites takes special requests - add in the next step! This aparthotel does not accommodate children. Atalos Suites accepts these cards and reserves the right to temporarily hold an amount prior to arrival. Please note that the kitchenette is suitable only for making coffee and preparing light meals. Please note that children under 10 years old cannot be accommodated in this property. Please note that transportation service is arranged upon request and property's approval. The shower was very small, bathroom could use an update. Great Place, close to Kamari Beach...loved the location because it is not as busy as Fira/Thira but there are a ton of restaurants and bars right on the beach. There's no view at the hotel but your so close to everything. The owner also took us to the airport (and gave us a gift as we were leaving) which was really nice of him! You can't expect much more for the money. WiFi signal could be bit stronger in apartments not close to Reception desk. I gave a not so good mark for cleanliness and comfort. I have to admit, The room was clean, but not clean enough. The dust was not properly removed, the pillow covers were not changed at all. Some aspects could also be improved as well: there were no door handles for the shower doors, so we could not close them firmly and thus when we took showers the water was splashing all around. The shower cabin was not tightly bolted, as there were bolts hanging out. Nothing else to complain about. Giannis is a very friendly host, he gave us all the information that we needed, including touristic guidance. The ride from/to the airport was free of charge and we appreciated that very much. We even got a nice gift at our departure. The location was excellent, a 2 minute walk to the beach, the breakfast was not free of charge, but for 5 euros/person it was a fair price for what they had to offer: eggs, bacon, fruits, coffee and orange juice, and a lot more. Location has a pool and a poolside bar, which is very nice for an afternoon relaxation. Overall, the price for our stay was fair and we enjoyed it very much. Thanks and we will definitely recommend this place. Limited Food choice at hotel for Breakfast/Lunch, But not a major issue. Is Very welcome by the property owner when we arrived around 23:00; He is a friendly man give us local and island maps and give a lot of information that very useful for my vacation, location is perfect just walk distance to beach and bus stations, also I like the home made breakfast the provide cost 5 € per person, l probably stay this place again if I coming back here in the freture.